I should have known better. I’ve been a Cardinals fan for over 50 years. I remember spreading out the Globe Democrat sports page on the living room floor and tracking day-by-day the Cards’ incredible comeback drive to take the pennant from the Phillies on the last day of the ’64 season. I remember Bob Gibson, Ken Boyer and Lou Brock (a late season addition from the Cubs) leading the team to an improbable victory against the all-powerful Yankees to become World Champions. 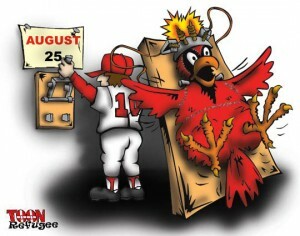 I should have known that all things are possible in Cardinal baseball but, on August 19th, I republished my infamous “Stick a Fork in It, Cardinals” cartoon and declared the season over. I should have known better but I let crazy things like common sense and a 10-1/2 game deficit in the Wild Card standing get in the way of my belief in Cardinal magic. 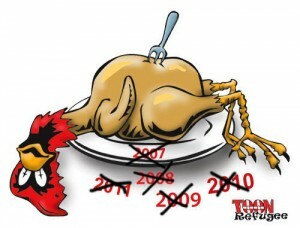 What I should have done was click my heals together and repeat, I do believe, I do believe and publish this updated version of my FrankenCardinal cartoon from 2006 (the last time the Cardinals won the Series). But somewhere along the line I lost the childish faith that drove me to the sports page every morning in the summer of 1964 to check the standings and see that my Cardinals had moved another game closer in the standings. I didn’t believe and neither did most of Cardinal Nation but fortunately the guys that mattered, Tony and the team, never stopped believing and now we get to share in their celebration. 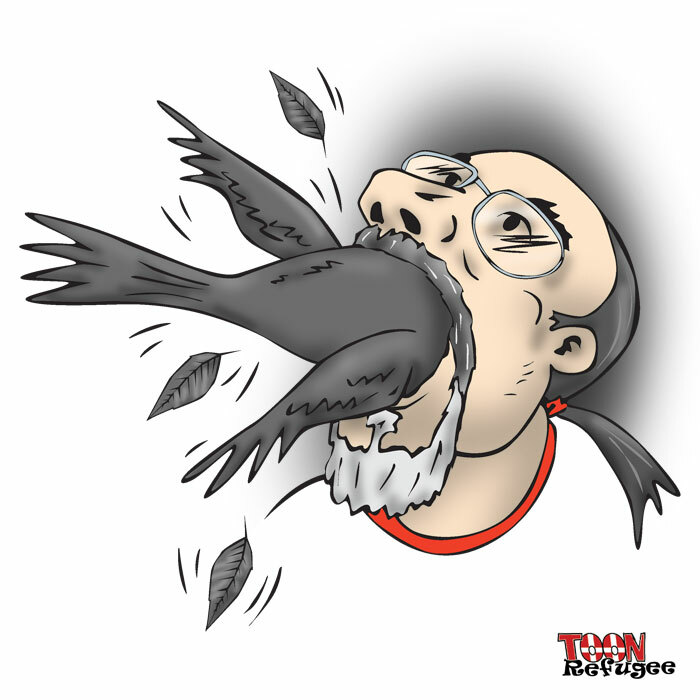 yeah well….winning probably makes crow palatable. Congrats on the amazing victory and the unbelievable experience of an unmatched series of endless comebacks from disaster.